Wrongful dismissal awards can be categorized in different ways depending on the type of claim you make against your employer. How the money is categorized will determine what your tax obligations are with respect to the funds. Keep in mind that lawyers are not accountants or financial advisors, so the following information is just that, information. We would always recommend speaking with your accountant or financial advisor regarding the tax treatment of any wrongful dismissal funds you may receive. Any money you may receive as notice or termination pay is considered income and therefore will be taxed like your regular paycheque (this includes deductions for income tax, CPP, EI and any other deductions such as RRSP contributions, etc.). This category of funds is the least tax advantageous, however is often unavoidable in most wrongful dismissal matters. Keep in mind that the minimum amount of notice or termination pay prescribed by the Employment Standards Act, 2000 must be subjected to these deductions. If you received Employment Insurance benefits while awaiting settlement or judgement for your matter, you may be required to pay back some of the income you received. The reason for this is because had your employer provided you with an appropriate termination package from the date of your dismissal, you would not have been eligible to receive Employment Insurance benefits until payments ceased. Therefore, the funds you may be receiving several months later are covering the time frame from the date of termination to present, thus you earned income during that time frame and cannot receive Employment Insurance. Both methods are designed for income replacement, therefore it does not permit you to “double up” during this time. However, Employment Insurance is for a maximum of 45 weeks and your entitlements remain the same. 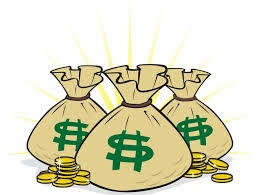 Any money paid back will extend the time you can receive payments for, provided you remained unemployed. Sometimes, employers will allow the employee to allocate a portion of their termination pay/notice pay into their RRSP. This means that the money is deposited directly into the RRSP from source, rather than after the funds have been subjected to tax deductions. The money would only be taxed when it is withdrawn from the RRSP in the future (presumably when you are retired). When it comes to allocating funds to an RRSP, the employee must be able to show that they have sufficient room available to deposit the funds. If you do not have contribution room or you need the money immediately, you may be able to characterize the funds as a retiring allowance where the funds would be subjected to a tax withholding rate of 10%, 20% or 30% depending on the total of the lump sum being characterized. This is often a preferable tax rate than typical deductions, however when you do file your taxes you have to pay usual income tax on the retiring allowance sum. General damages are available to those who have a claim for Human Rights violations or if an exception harm is done to the plaintiff. This is compensatory in nature or meant as a punishment for egregious conduct. General damages are considered non-taxable since they are considered compensation for a wrong done to you rather than income. The funds are meant to compensate for injury to your feelings, dignity, self-respect, pain and/or suffering. General damages are typically calculated by taking into consideration, the nature of the wrong done to the individual and past case law to determine the award. Funds categorized as general damages should not affect Employment Insurance benefits you may have received, nor should it be reported as income. As the employee receiving the funds, it is your responsibility to show that the funds you received as general damages are not connected to the loss of your employment, otherwise the Canada Revenue Agency or Service Canada may consider it income and you would be subjected to the same tax burden and Employment Insurance repayment obligations as notice or termination pay. Usually, in a wrongful dismissal matter you would receive funds that are categorized as legal fees to assist in covering some but not all of the costs associated with legal representation. Typically, these funds are considered to be tax-deductible for the employee as long as they were incurred to “collect or establish a right to a retiring allowance or pension benefits” (Income Tax Act, s. 60(0.I)). We would recommend bringing your invoice for legal fees to your accountant in order to claim these funds on your taxes. The above post is general information about this specific case. If you have specific questions about your employment situation, you can contact Monkhouse Law for a free phone consultation.